We own a town! 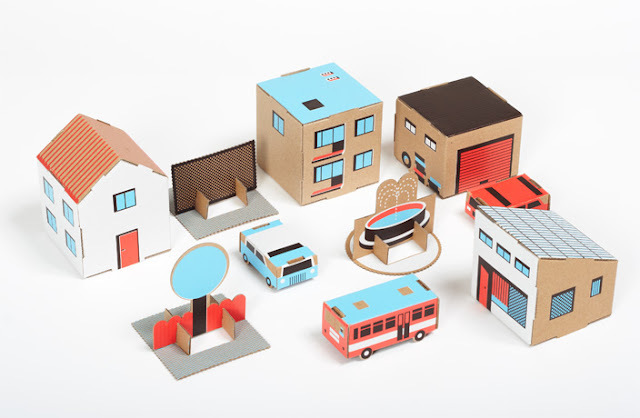 This cute cardboard town comes from Poland. 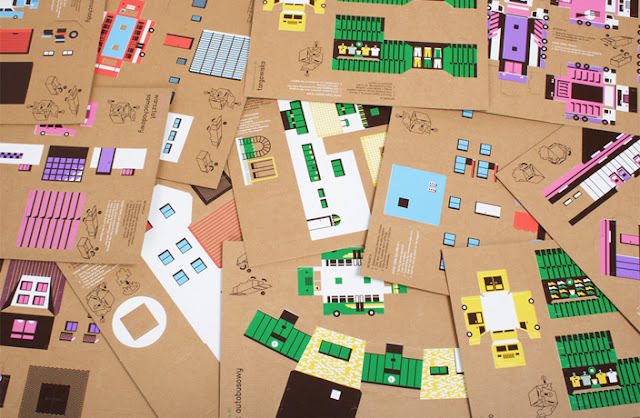 Three different sets are sold in flat packed packages. They can be bought separately to form smaller towns but all pieces also function together as a bigger town. I ordered the town directly from from the manufacture's website papierowemiasto.pl .